- No idea what is going on? - Do not understand the mathematical concepts? - Not able to catch up with the pace of your school? - Not producing good results for A math despite trying so hard? Is Additional Mathematics (A Maths/ A Math) so important? Do you also know that there are some changes made to the A Math syllabus? Students no longer need to know the inverse matrix method of solving simultaneous equations. Take note: The differences between syllabus 4038 vs 4047 will be handled with care in our Additional Maths Tuition classes. 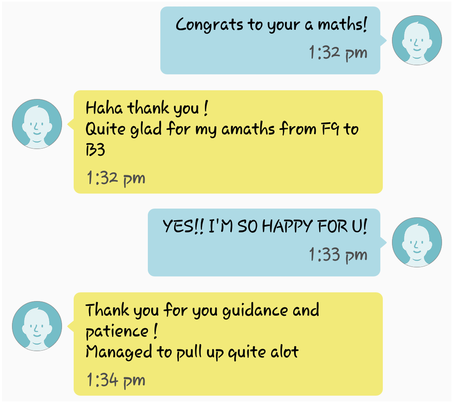 What can students expect from the Additional Mathematics (A Math/A Maths Tuition) at EduFirst? Cmommonly made mistakes and traps set by examiners are also highlighted to students so tthat they can avoid them! What differentiates EduFirst from the rest of the other A maths/A math tuition centres? Experienced A Math tutors to help your child learn A Math in a proper and systematic manner in A math/A maths tuition lessons. Extremely small class size (4-8 students) so that the A Maths tutors can coach your child individually during A Math tuition/ A Maths Tuition lessons. They will build a strong foundation and understanding in the Additional Mathematics concepts as the A Math tuition / A Maths tuition lessons are conducted progressively. Most importantly, the worksheets and materials used by EduFirst are of the LATEST SYllabus. Teachings by the A Math tutors during A Math/ A Maths tution classes will be highly exam-focused, with special attention paid to developing skills and techniques to tackle the difficult questions. 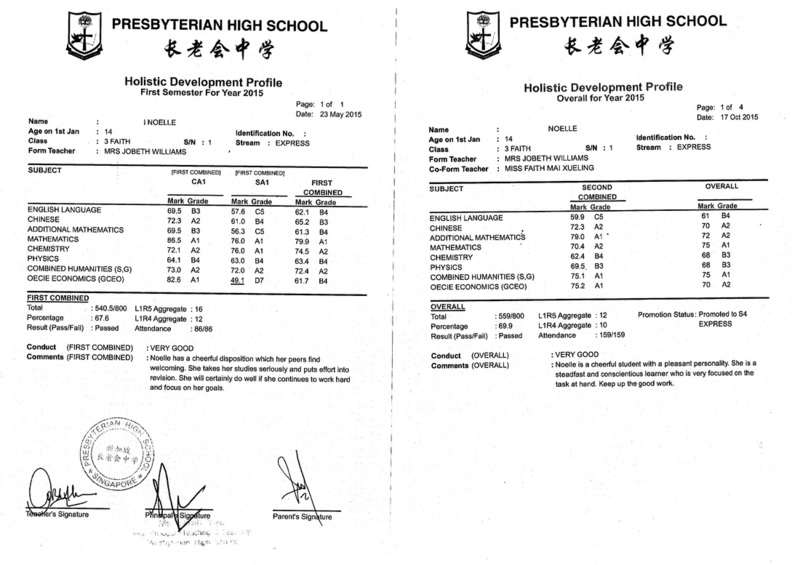 Here's a quick look at our student's results and what they have to say about us..
Mei Bao (S3), has been struggling with A math since she started studying the subject. She was failing all her tests and even her SA1 examination. She was struggling with the subject and was completely clueless about it. Thankfully, she decided to seek help. And for the first time, she passed her A math. Perhaps to many, passing is no big deal. But for someone who has never passed before, this is a huge milestone to achieve! We hope Meibao can continue to keep up with the good work! Thank You card from our student, Fatin, who is showing her gratitude towards her Maths Tutor who had put in extra hours to coach her. Our student, Kyi Maung (S4E). He came to us about 2 months before his O levels, hoping to get a final boost in his A maths as he was constantly failing it. 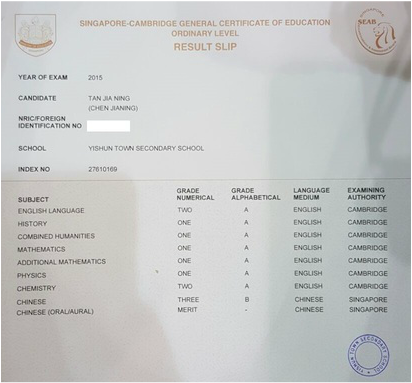 In his O levels, he scored a B3. This is a far cry from his previous F9 grades! Noelle joined us after doing badly for her A math in SA1 (C5) and.. she scored A1 in her SA2 examinations! Looking for some help with your A maths? Do not hestitate! Reach us today for a TRIAL session now!